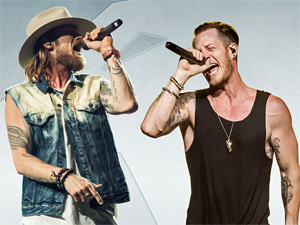 History-making showmen FLORIDA GEORGIA LINE (FGL) are ready to set Tulsa’s summer on fire as they bring their SMOOTH TOUR 2017 to BOK Center July 27. Following an extended DIG YOUR ROOTS TOUR that played to over one million fans, FGL is crushing genre lines by adding Grammy Award-winning rapper NELLY and breakout country star CHRIS LANE to a jaw-dropping bill. For the first time in their red-hot career, they’re headlining three epic stadium concerts and pop idols BACKSTREET BOYS are coming along for the wild ride! 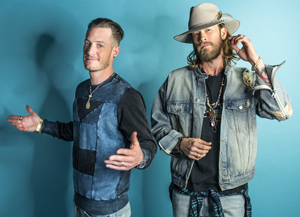 Since breaking out in 2012 with their iconic “Cruise,” FGL has marked their place as one of the elite acts in country music, earning prestigious honors from the AMA, ACM Awards, CMA Awards, Billboard Music Awards and CMT Music Awards. Their previous releases – 2X PLATINUM debut HERE’S TO THE GOOD TIMES and PLATINUM ANYTHING GOES – have attributed to sales nearing 29 million tracks, over 3.5 million albums worldwide and RIAA DIAMOND-certification for “Cruise,” solidifying the hit as the only country single to ever reach sales of over 10 million copies. Their massive debut also overtook the record for longest #1 on Billboard’s Hot Country Songs chart. Under Big Machine Label Group, current Top 5, PLATINUM-certified “God, Your Mama, And Me” directly follows FGL’s 12th No. 1 overall with their hopeful PLATINUM-certified anthem “May We All” (featuring Tim McGraw). As featured on their third studio album, DIG YOUR ROOTS, they dominated the charts with their 3X PLATINUM #1 smash-hit “H.O.L.Y.” – which sat on top of the Billboard Hot Country Songs chart for an astonishing 18 weeks. For up to date information on Florida Georgia Line, the tour and tickets go to www.floridageorgialine.com or www.livenation.com. THE SMOOTH TOUR 2017 is sponsored by Advance Auto Parts and presented by Old Camp Whiskey. This entry was posted in Out & About on June 20, 2017 by admin.